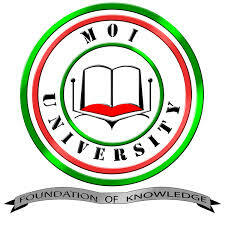 The Kenya Council of legal education has ordered the closure of Moi University School of law for failing to meet the requirements need to offer the course. The new decision which has placed more than 1500 students in a state of jeopardy is said to have been made by the councils after a serious consideration. According to the Council, the school was given an opportunity to fix things up but they didn't take it. In September last year the Council wrote a letter to the university explaining how the school performed poorly and lacked resources needed to offer the course. “Although the council noted that efforts have been expended and improvements made, the score attained during the inspection was 36.5 per cent, which does not meet the threshold of 67 per cent for full accreditation. It is noteworthy that the institution has scored poorly in all areas,” says the letter. Mr Henry Lugulu, dean of School of Law argues that the school still has the capacity to offer legal training but the inspection by the council of legal education argues otherwise.